So it’s been a while since my last post, and I have a good reason; the cynical cook was on vacation to Las Vegas & Portland, Oregon. I know it’s an odd combination, but business sent me to Las Vegas, and the allure of wine country brought me to Portland. 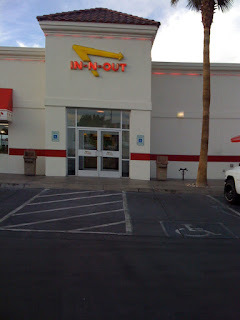 Luckily this wasn’t my first time to Vegas, and after taking care of some business accommodations at the Luxor, my good buddy Michael T picked me up and we headed over to In-N-Out burger. I know that it seems odd, why would I fly to Vegas and get a burger for my first meal. 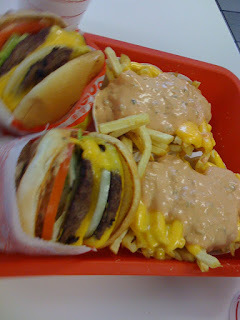 I’ll tell you why, these are damn good burgers, specifically double-doubles and animal style extra crisp fries. That my friends is freshly ground meat, cooked to order accompanied by freshly cut, double fried French fries covered in Thousand Island dressing. It was one hell of a lunch, and actually ruined our dinner, but that was a small price to pay. In-N-Out burger truly is a gem of the west coast.